Praise be to the living God of our great father prophet E.Makandiwa .  my testimony goes like this, in 2008 I heard a voice "saying you will make it in this life" whilst I was still doing my A levels but surprisingly after I came to Harare on attachment that was now 2012 four years after the audible voice I went to UFIC verily verily I saw a wrist band written "born to make it in this life" my heart lapped with naked terror as the voice which I heard four years back was now engraved on a wrist band I knew I was in the right place and with out thinking twice I bought I wrist band and now everywhere I go I carry. my fathers voice. During the same year the voice of my father begin to manifest Turning into flesh,when I came to Hre for attachment by the grace upon our father I became an accounts clerk that was in 2012 twelve months later the Managing Director wrote a letter to Midlands State University requesting me to be converted from a full time to a Visiting student I quote the letter "due to the experience that Chenjerai gained during his attachment period, quality service delivery and great management potential that is in your student we hereby as management of ****** (Pvt) Ltd request MSU faculty of commerce department of Business Mgt the above mentioned student to remain with us although his attachment period is over etcetra", the department was very happy for me and they signed my papers so this means I got a job before I finished school (you will make it in this life) on my arrival at work I was promoted from accounts clerk to senior accounts clerk salary doubled (2013 March). 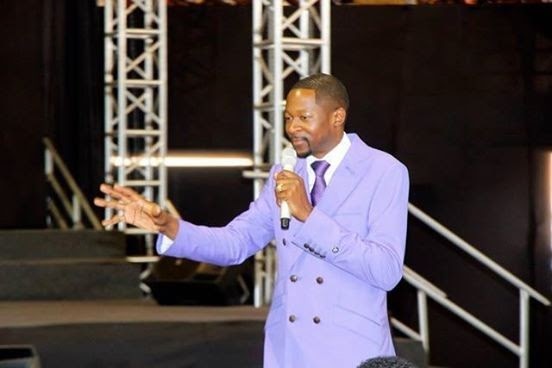 Little did I knew that the grace upon our father Prophet E.Makandiwa was not yet finished with me in a dream around June 2013 Prophet told the name of the company I work for and he declared upon my life that son you are established..6 months after the dream on 31December 2013 the last day of the year 2013 I was called to a meeting, our group human resources manager and M.D present I was then asked a few questions one of them I quote "if your are to be promoted to the highest post in the accounts dpt what kind of assistance will you be looking from the company inorder to bring best results" little did I knw that it was an unplanned interview after a few minutes of question and answer they said we will call you later you can go...moments later I received a call I went back to that same office the M.D congradulates me together with the HR mgr "you are now an ACCOUNTANT!!!! this is your contract go through it if you are pleased you can sign it for us.....woooooooooooow the package was tooooooooo attractive but. what got my attention was not the package but the words of my father "BORN TO MAKE IT IN THIS LIFE"
1.The grace upon our father is able to qualify the un-qualified . 2.Declarations from our Father are too powerful. Thank you very much for such a great testimony Chenjerai Chikwangwani Takawira. Those who really have the hunger to see Prophet Emmanuel Makandiwa one on one to share their problems,can you see how his anointing works without the meetings,can you see that there is really no need. The above testimony is not the first I have posted where people have an encounter with the heavens in a dream and everything just comes to pass. I like I said have never had a one on one with the Prophet concerning my problems but they just turn into testimonies many times through dreams.This God is just too much. N.B :- IF YOU ARE LOVING THIS PAGE SPREAD THE WORD ABOUT THIS GRACE BY INVITING AS MANY OF YOUR FACEBOOK FRIENDS AS YOU CAN.